Born April 6, 1483 in Urbino, Italy the young Raphael was soon influenced by his father who was a painter. 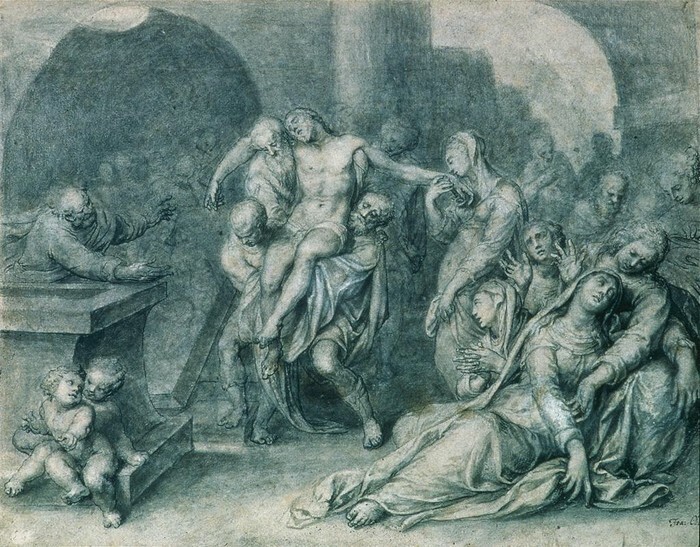 Raphael learned the techniques and rythms of painting. These lessons ended when his father died when Raphael was only eleven years old. Needing to find another mentor he took it upon himself to join a studio. He then found Perugio's workshop and painted there for nearly four years. 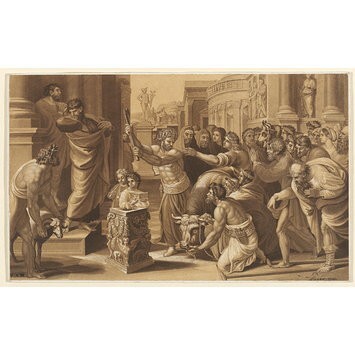 Made in 1855 this painting portrays what looks to be a man standing in front of a crowd and a hurt bull about to beat it with some type of blunt object. I find this piece interesting because of the way Raphael painted their faces. You can almost feel the emotion that these people must have. You can see all the distraught and desperation in the crowd. It shows skepticism because the people in the crowd are skeptic to what this man is about to do. 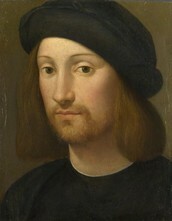 Raphael born on April 6, 1483 grew up in the city of Urbino, Italy. He grew up with his mother and father who was a painter. After his father's death when he was only 11, the young Raphael worked for four year in Perugino's workshop. After his four year stay he decided to leave for Florence where he made many paintings and sculptures. He later moved to Rome where he created more paintings but also touched a little upon the art of architecture. Being a talented and well-rounded artist he was respected throughout his lifetime.